A haunting and unforgettable debut spanning the last seventy years of Korean history, including the BBC Short Story Prize shortlisted story 'The Goose Father'. 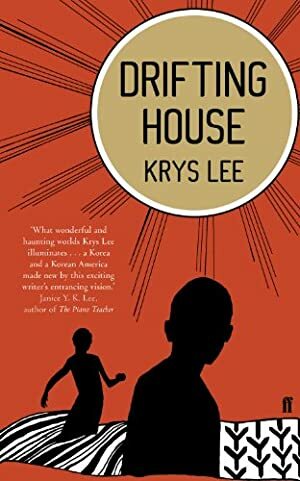 Alternating between the lives of Koreans struggling through seventy years of turbulent, post-World War II history in their homeland and the communities of Korean immigrants grappling with assimilation in the United States, Krys Lee's haunting debut story collection Drifting House weaves together intricate tales of family and love, abandonment and loss on both sides of the Pacific. In the title story, children escaping famine in North Korea are forced to make unthinkable sacrifices to survive. The tales set in America reveal the immigrants' unmoored existence, playing out in cramped apartments and Koreatown strip malls, from the abandoned wife in 'A Temporary Marriage' who enters into a sham marriage to find her kidnapped daughter to the makeshift family in 'At the Edge of the World' which is fractured when a shaman from the old country moves in next door. Log In to track Krys Lee on eReaderIQ. to be notified each time the price drops on any book by Krys Lee. to stop tracking Krys Lee. We started tracking this book on January 7, 2014. The price of this book has changed 54 times in the past 1,934 days. The lowest price to date was £3.99 last reached on February 1, 2018. The highest price to date was £7.99 last reached on January 10, 2019.